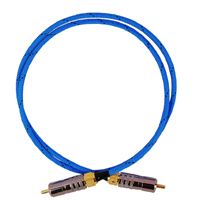 Digital cable is a coaxial cable construction. 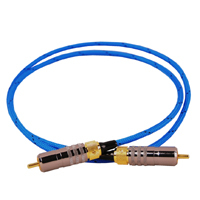 The central vein is 7 polished silver wire Ø 0.32 mm with 99.999 (5 N) standard in the double Teflon insulation and air space geometrically formed as a result of PTFE tape wrap. The screen is a silver-plated braid OFC/Ag, mutually insulated PTFE Teflon tape. Connections are made Argentum alloy (Sn/Ag 8%) Cables are packed in the RCA and BNC plugs. 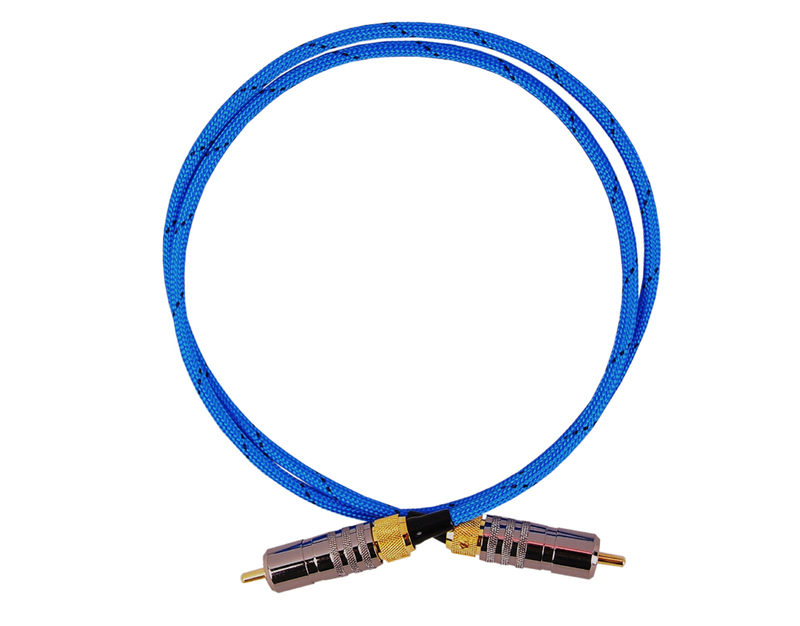 The outer shell is steelon blue braid with one black interlaces, what is characteristic of this cable. 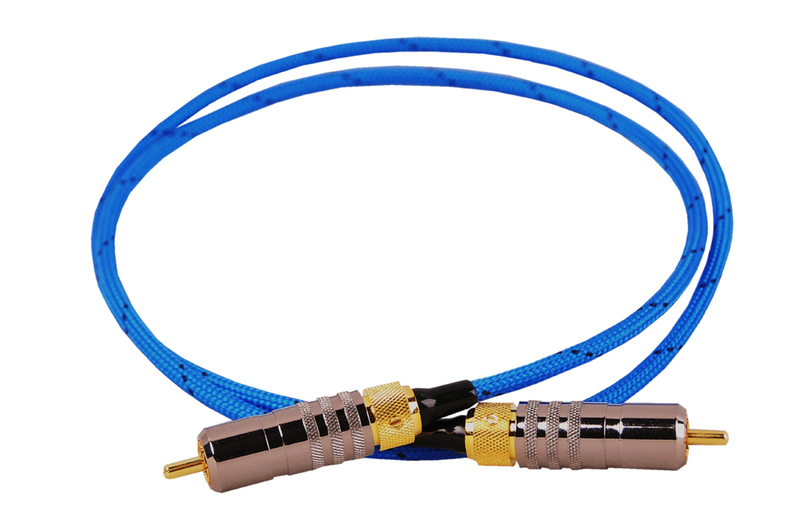 For each digital cable is included about 1.5 cm cable sample.